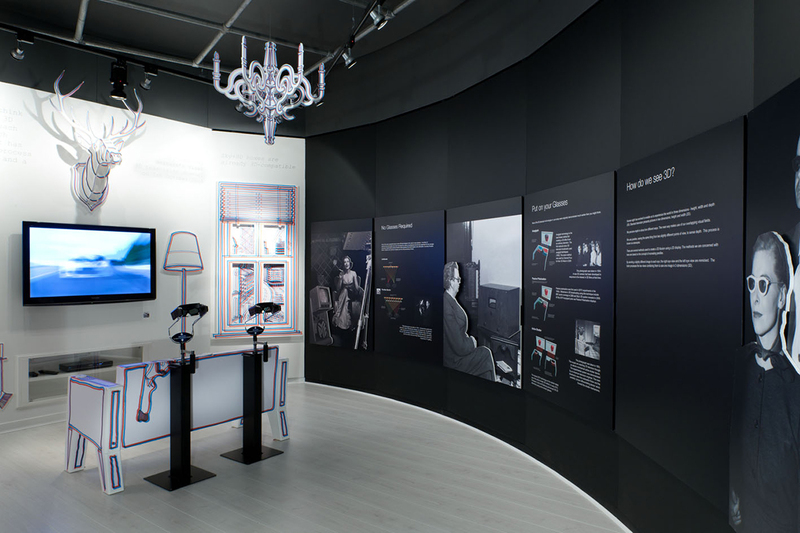 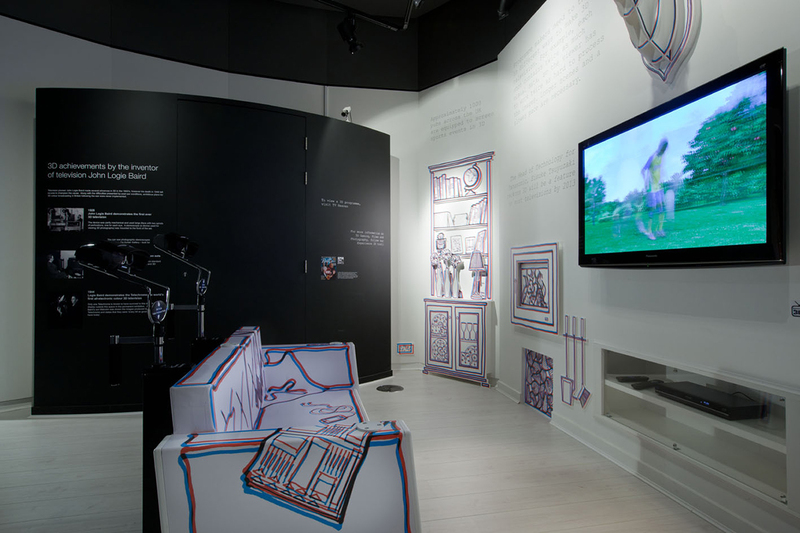 The purpose of the museum’s 3DTV exhibition was to explore the development of 3D filming and viewing technologies from inception to the present day. 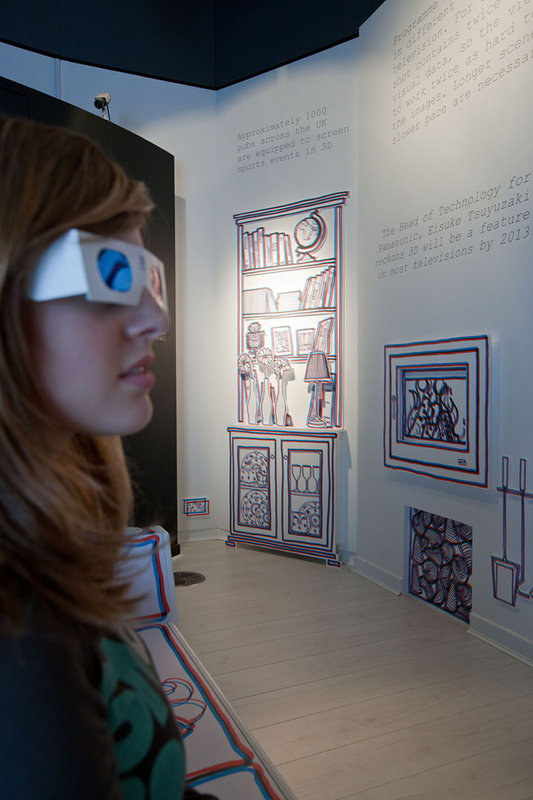 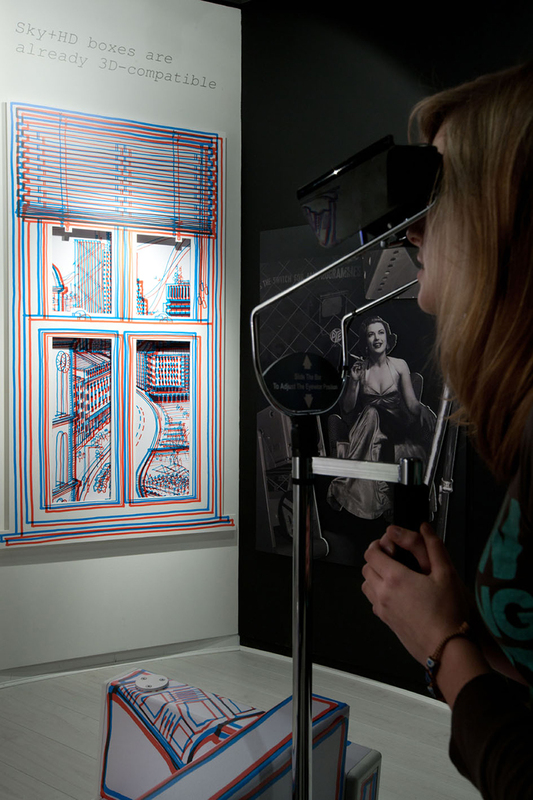 In order to engage and inform the visitors, we contrasted the traditional red and cyan line drawings traditionally associated with 3D with the more advanced 3D TV glasses. 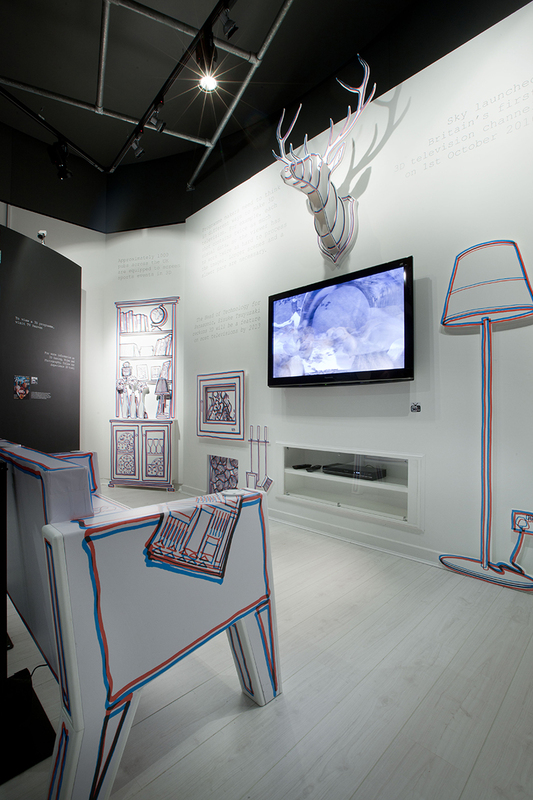 This simple but effective design concept was chosen to emphasise the advancement of this technology.